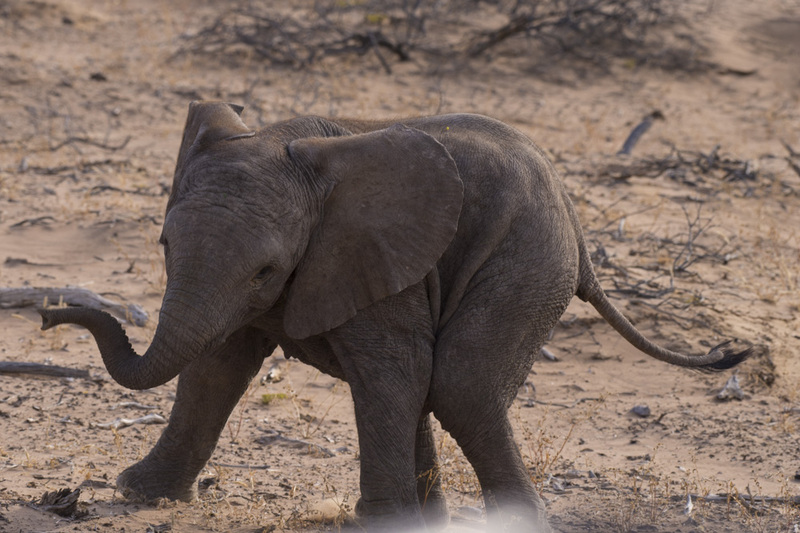 Desert elephants Namibia – a few photos from our recent encounter in Damaraland. 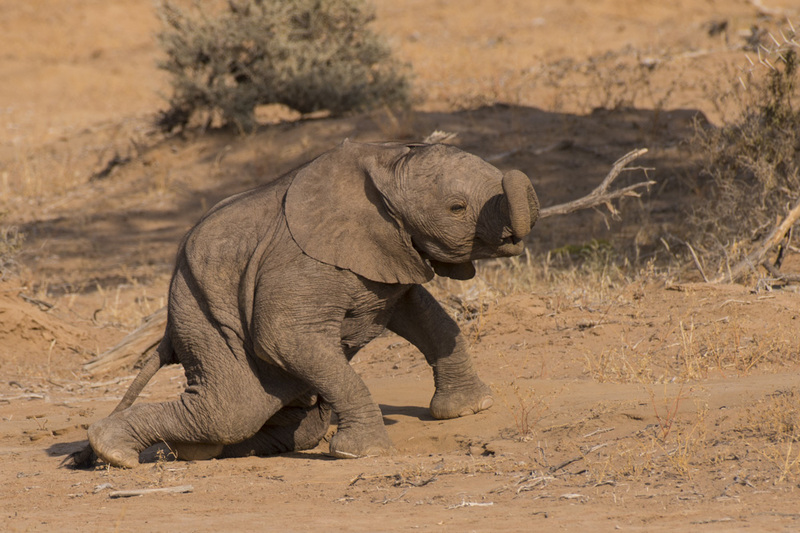 It’s been a personal ambition for some time to try and photograph the desert elephants of Namibia. Often you just get a special vibe when searching for wildlife. 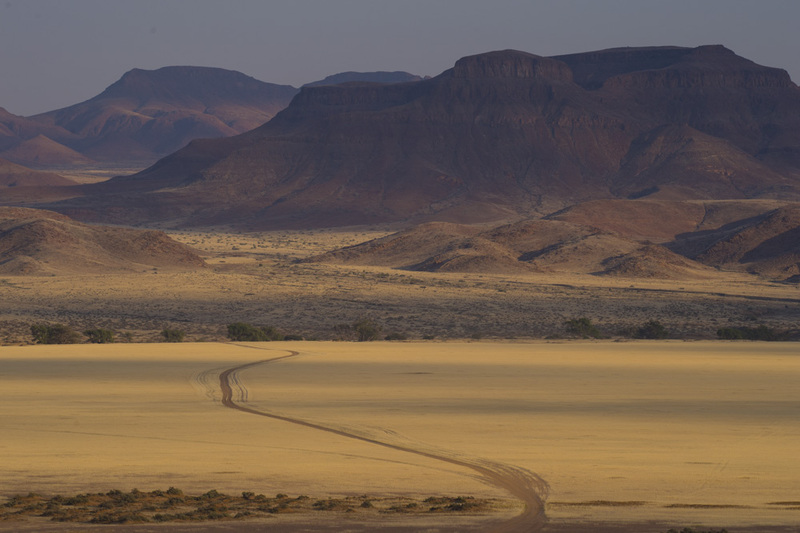 As the first cracks of sunlight illuminated our track through the heart of Damaraland recently, I just knew we’d find them. 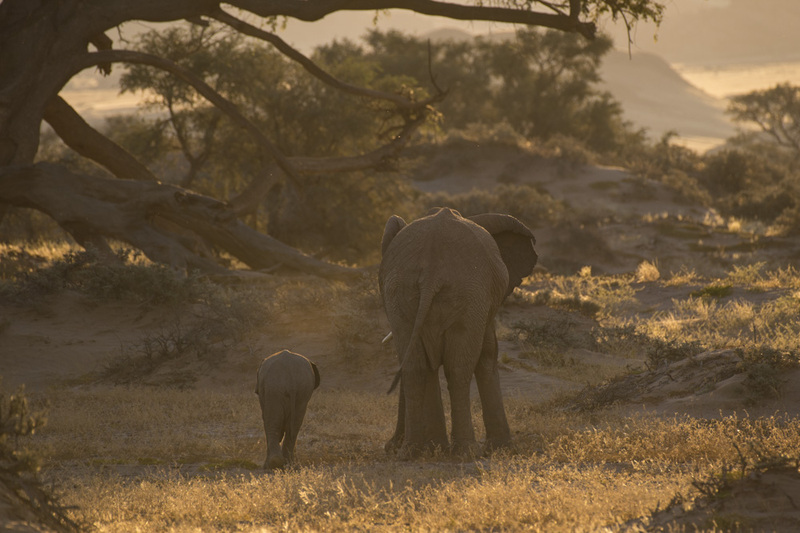 It was such a gorgeous morning and very soon we came across fresh elephant droppings. 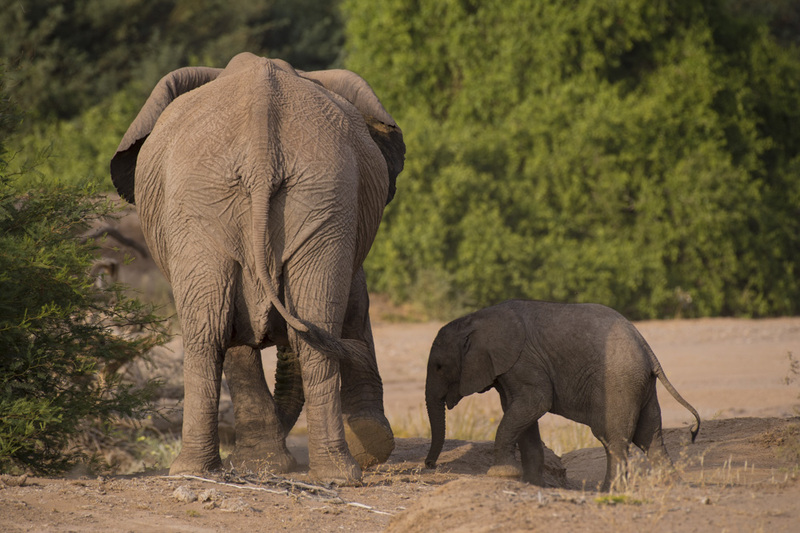 Following their trail down a dried up river bed led us to our first close encounter with a mum and baby desert elephant. 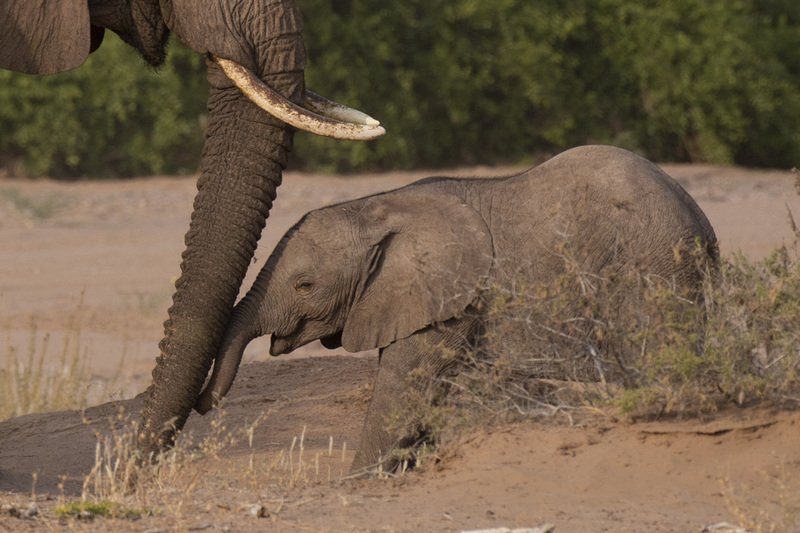 And being lovingly consoled by its mum. 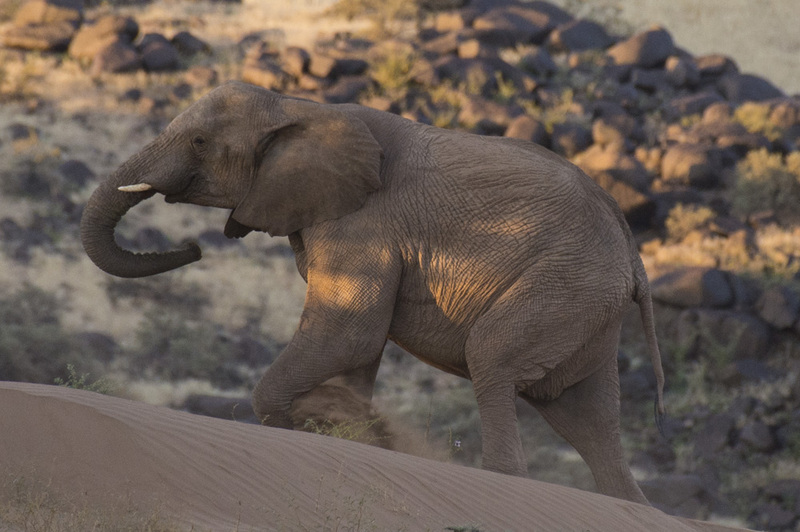 Desert elephants aren’t a different species from their savannah counterparts, but they have adapted their behaviour in order to survive in such arid conditions. 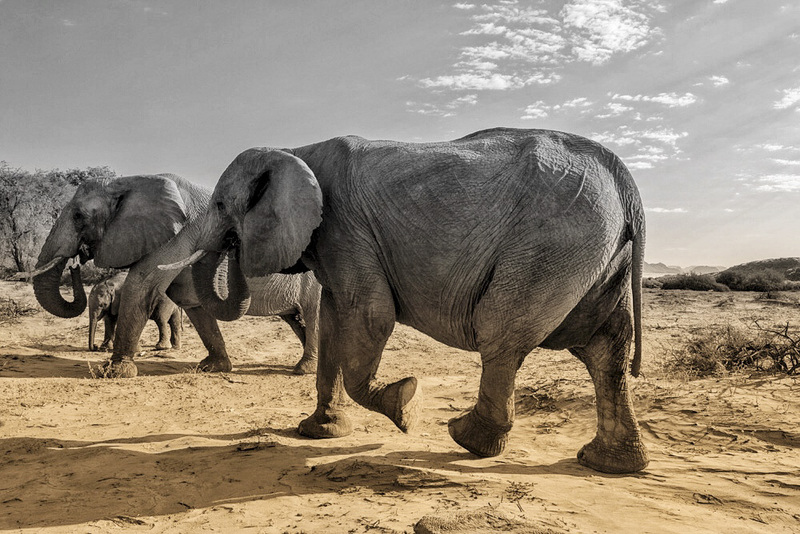 There are only two known populations of desert elephants which are found in Namibia and Mali. 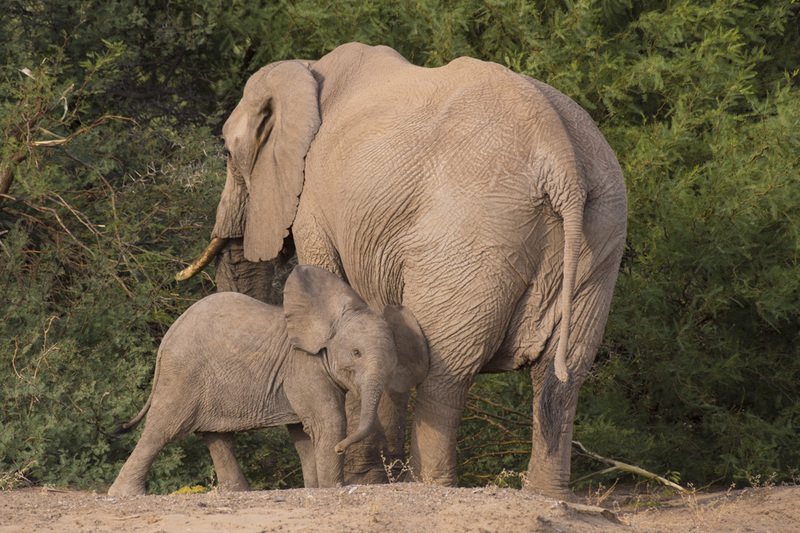 Although roughly the same size as savannah elephants, their bodies are often less bulky – probably due to less food consumption. 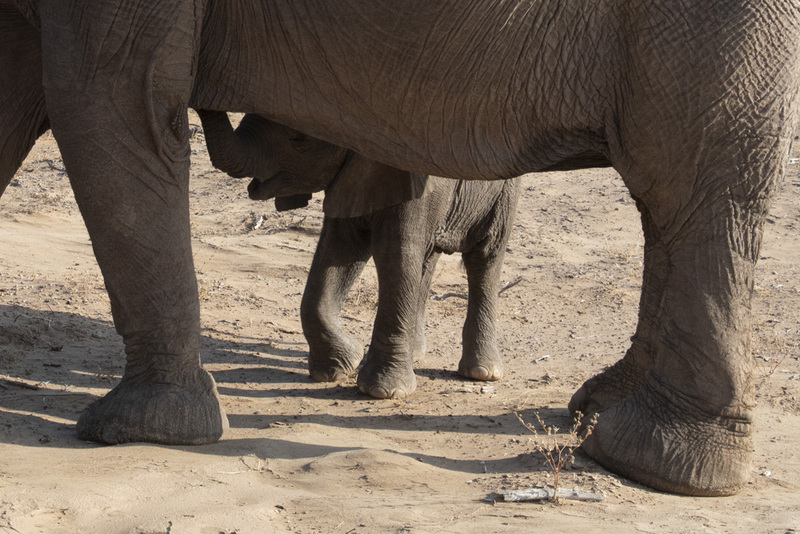 Their feet can also appear wider which is thought to be due to the much larger distances which they cover to find food. 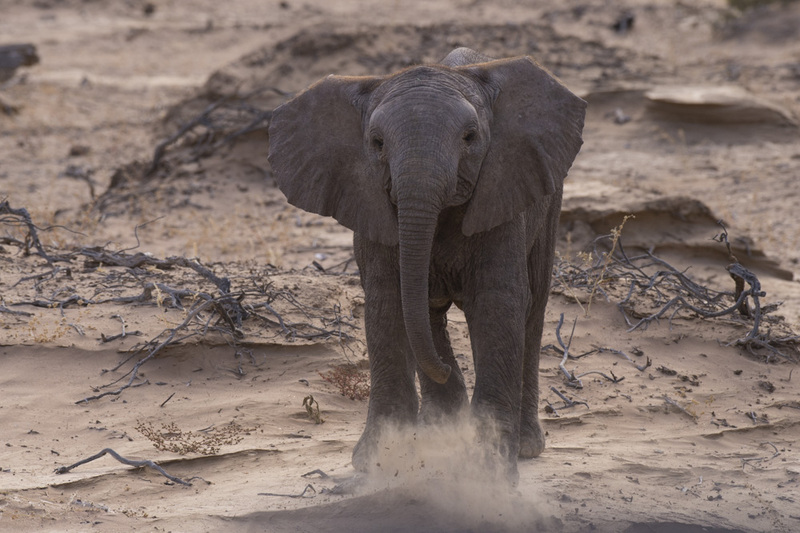 Desert adapted elephants have an enormous home range of up to 2000 km2. 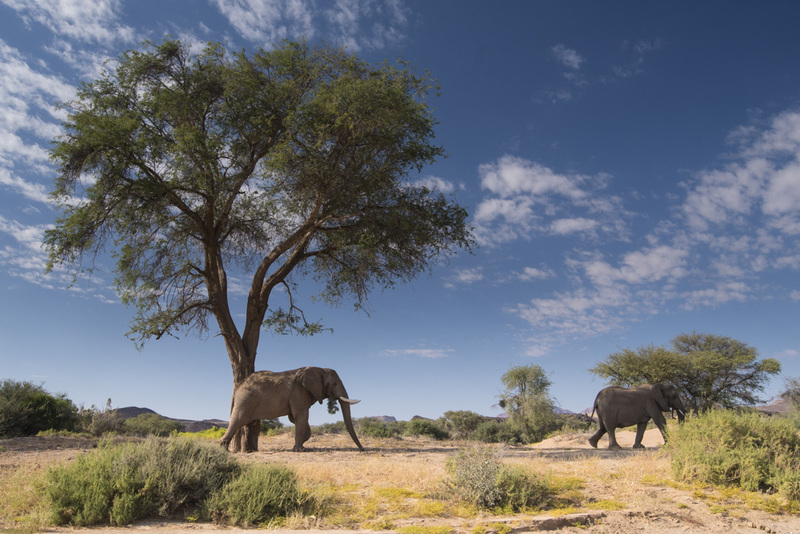 The beautiful Damaraland region in Namibia is one of the best places to see desert elephants. 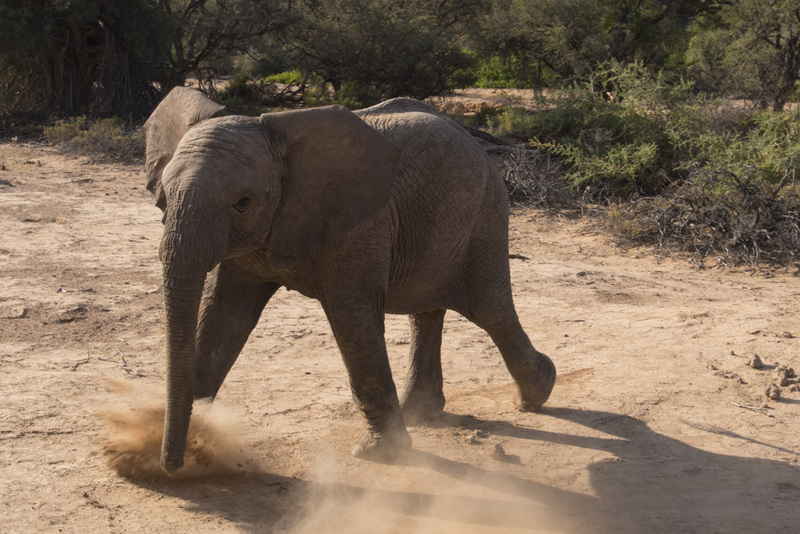 Desert adapted elephants often have wider feet than their savannah counterparts caused by the large distances they roam. 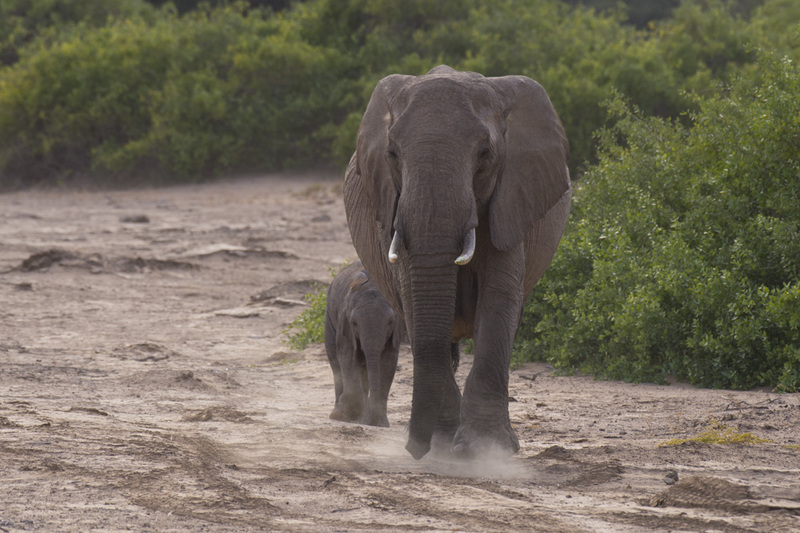 Dried up river beds are a good place to look for desert elephants as there is still vegetation growing from the last rains. 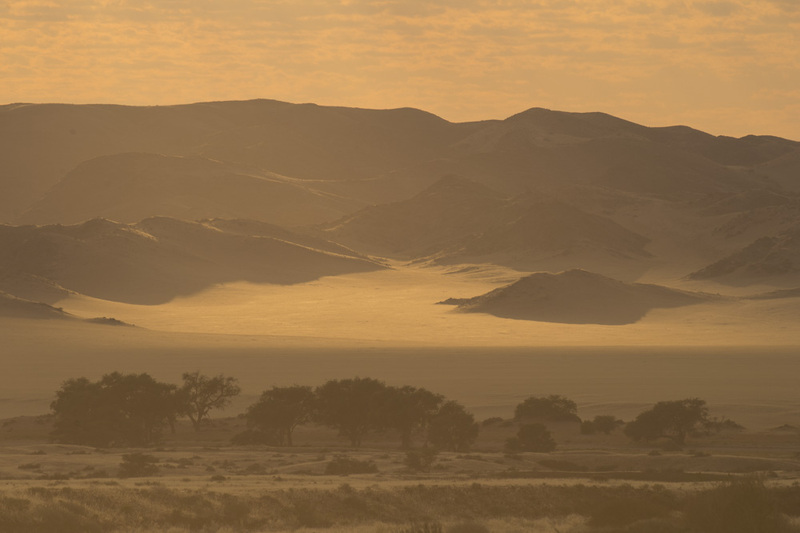 Fancy coming on a Namibia photography holiday with us in the future ? 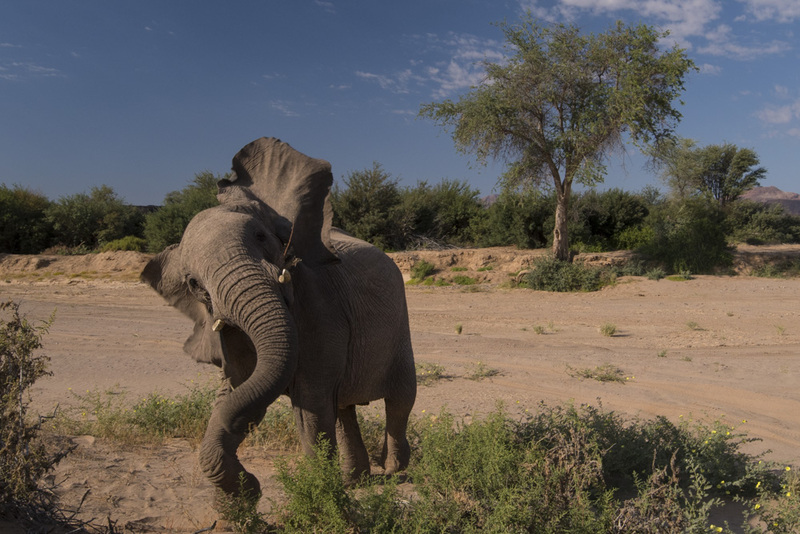 We’ll do our best to encounter the desert elephants of Namibia along with an astounding array of landscapes and other wildlife. More info is here.